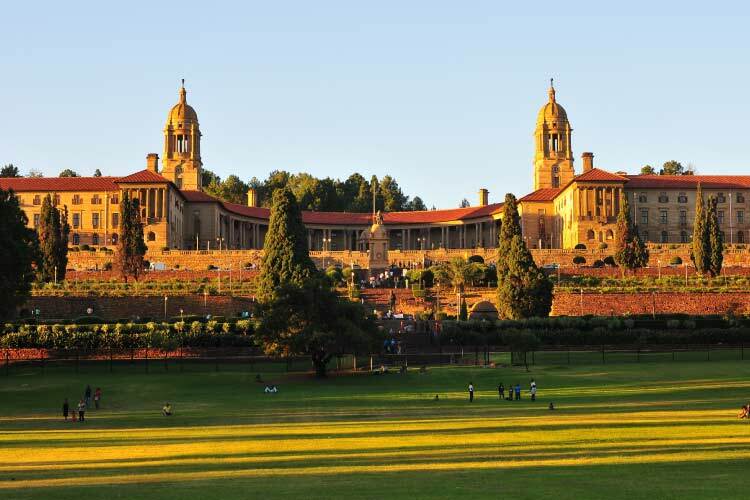 South Africa holds three capitals, judiciary capital Bloemfontein, executive capital Pretoria, and legislative capital Cape Town, though its largest city and airport are actually Johannesburg. Typically, travel in South Africa costs more per day than the rest of Africa, often on the order of $45 per day. Expect temperatures of 27 to 32˚C (80-90ºF) in the summers and -1 to 5˚C (30-40ºF) in the winter. Wooden statuettes and other crafts exemplify the classic South African souvenir, as well as a bottle of wine (if you’re able to get it through customs, that is). Located on the far southern tip of Africa, the country of South Africa continuously competes with Morocco and Egypt for the title of “Africa’s Most Visited Country.” In 2014, the parliamentary republic welcomed almost 10 million foreign visitors. Unlike most other African countries, South Africa has never experienced a true coup or civil war; in fact, regular democratic elections have been held for more than a century, though its worth noting that most black South Africans didn’t achieve suffrage until apartheid ended in 1994. Regardless, South Africa’s relatively stable political environment in the last century opened the door for widespread economic development, and today South Africa is the second richest country in Africa. This fact, coupled with the widespread use of English, makes it obvious why South Africa might be a more attractive travel destination than many of its neighbours. Most evolutionary historians agree that early humanoid life began in Sub-Saharan Africa, and quickly spread southwards towards the modern day borders of South Africa. In fact, one of South Africa’s most famous sites is a series of caves northwest of Johannesburg called the Cradle of Humankind, in which scientists have unearthed fossilized early hominid remains more than 3 million years old. To put that in context, the oldest human remains found in Europe and Asia date only 40,000 years old, while the Americas only exhibit signs of human presence in the last 10,000 years. While little is known of these early South Africans, the expansion of the Bantu peoples into South Africa around 1000 AD is well documented. These Iron Age invaders held huge swaths of land throughout Africa, but were largely displaced by European colonization in 17th century. The Dutch were the first European colonial power to hold South Africa, but when France invaded the Dutch Republic, the British took advantage of the situation and stole control over the country. By the early 20th century, South Africa had gained sovereignty. Unfortunately, the country institutionalized racism following WWII with the enactment of apartheid. Thanks largely to help of Nelson Mandela, apartheid was repealed in the early 90’s, and the country has done an admirable job developing into an economic and political powerhouse since then. When planning a trip to South Africa, its important to remember that the vast majority non-essential businesses close for lunch on Saturdays and don’t reopen until Monday morning. While there’s still lots to see and do on Saturday evenings and Sundays, it’s wise to spend Saturday morning visiting some of the attractions on your “must see” list before they close for the weekend. As South Africa’s most populous city, Johannesburg seems packed the brim with activities for tourists. On one hand, the city has numerous historical sites, many relating to apartheid. Constitution Hill is probably the city’s most famous historical destination, featuring the home of South Africa’s Constitutional Court, the perpetually burning “Flame of Democracy”, and the infamous Old Fort Prison, which held Nelson Mandela and a number of other political prisoners during the 20th century. On the other hand, travel in Johannesburg is very much about experiencing its modern culture and personality. Shopping malls and craft markets seem to be everywhere in the city, while the Market Theatre district holds numerous bars, music venues, art galleries, and other cultural outlets. The vast majority of Johannesburg’s locals live in Soweto, where a huge number of black residents were forced to move during the apartheid in the 1980s. Back then, Soweto was considered highly dangerous, but the community has come a long way in 30 years. 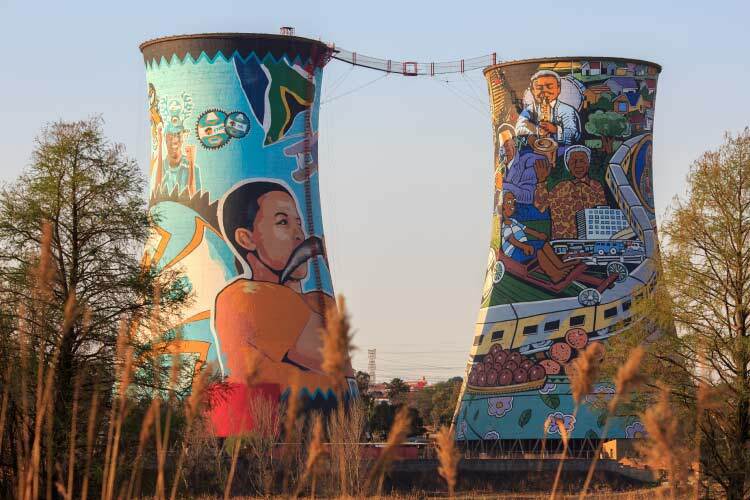 While Soweto is definitely worth a visit, especially for travelers looking to experience the grittier side of Johannesburg, always be on your toes, especially at night. Though Pretoria is only one of South Africa’s three capital cities, its the one most recognized as its capital. Confusingly, most South Africans refer to Pretoria as Jacaranda City due to its numerous Jacaranda trees; furthermore, the city is contained within the metropolitan area of Tshwane and is now a decade into a controversial campaign to change its official name to Tshwane. Regardless of what you call it, Pretoria’s numerous shopping malls, public gardens, and thriving arts scene makes travel quite pleasant. 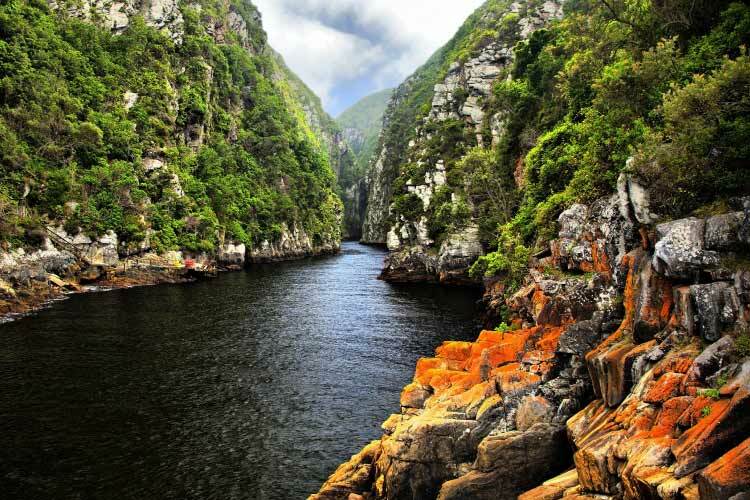 Groenkloof Natural Reserve is a popular travel destination due to its variety of wildlife, which includes giraffes and zebras. 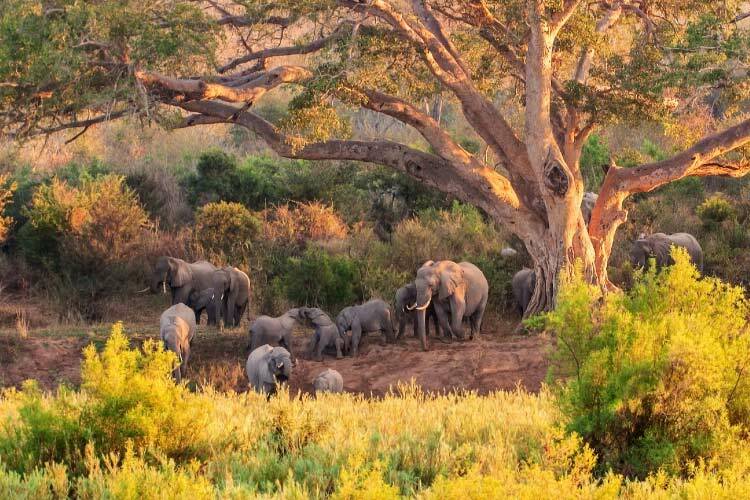 Kruger National Park is South Africa’s premier ecotourist destination. According to their counts, 147 mammals, 507 birds, 114 reptiles, and thousands of plant species can be observed in this park. Close your eyes and picture the stereotypical African safari: lengthy dirt roads, wildlife galore, lush grassland, perhaps an open top Jeep. This is the exact kind of experience Kruger National Park has to offer visitors, which it makes it easy to see why the park has become so popular among travelers. 1. In Pretoria, enjoy the numerous theatrical performances, art galleries, and concerts that dot the city. If you feel the urge to participate in creating music, join one of the many drum circles in Pretoria’s parks. Then, head out to the Austin Robins Bird Sanctuary for a glimpse at some rare African avians. 2. Johannesburg’s Lesedi Cultural Village is a great way to witness the traditional heritage of the city. Then, grab a glass of wine and enjoy the Lipizzaner horse shows. Afterwards, visit the popular Lion Park, where visitors can pet real lion cubs. Continue with the natural theme by investigating Suikerbosrand Nature Reserve. 3. The Gold Museum in Welkom attracts visitors interested in South Africa’s economic history, as well as those looking to explore its massive underground wine cellars that stretch more than a half mile underground. The Old Indaba Bluegum Tree, Dog Monument, and Voortrekkers Memorial also pay tribute to the area’s rich history. 4. Enjoy the beautiful flowers present throughout Bloemfontein, especially during its annual rose festival. The Free State National Botanical Garden is a great place to see gorgeous flora. Alternatively, one could visit the Cheetah Experience for close contact with predatory cats. The Oliewenhuis Art Museum is also worth a visit and aptly displays the city’s art scene. 5. No trip to the coastal city of Durban is complete without a walk through its port, which is the largest in all of Africa. Then, take to the seas and scuba dive or snorkel through Durban’s gorgeous waters. Unwind after a full day of exploration at one of Durban’s many fine seaside restaurants; be sure to order the day’s fresh catch. Durban is also famed as one of the best places to surf in the world. 6. The Swartberg Complex is a UNESCO World Heritage site consisting of three national parks, though only Swartberg Nature Reserve allows public access. This mountainous region is perfect for long distance hiking and offers the rare chance of seeing baboons and leopards in their natural habitats. 7. 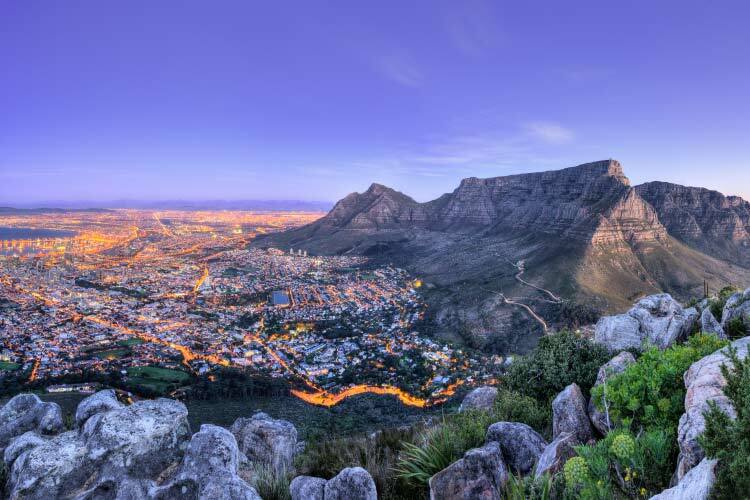 Ride the cable car to the top of Table Mountain for an unparalleled view of Cape Town. Head into town to sample some of Cape Town’s famous wine, or go out to see on a dinner cruise. Scuba diving also enjoys popularity in Cape Town, though for guaranteed wildlife sightings it may be best to dive in the 2 million litre tank at the Two Oceans Aquarium for a nominal fee.